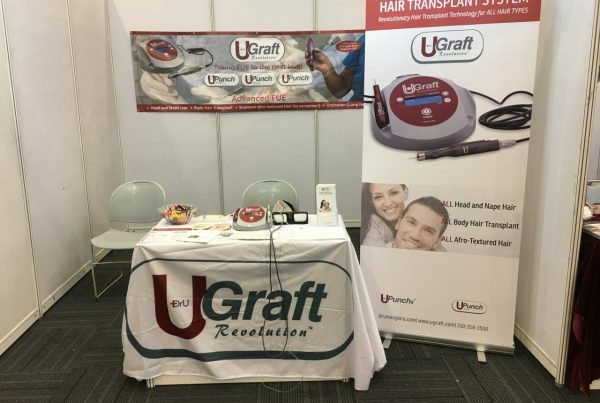 Dr.UGraft Live Surgery Debut in Dubai: The Dr.UGraft™ Advanced Hair Transplant System made its live surgery workshop debut in March at the 2018 Dubai Workshop sponsored by the International Society of Hair Restoration Surgeons (ISHRS). Dr. U performs a hair transplant surgery in Dubai using his Intelligent Punch (Dr.UPunch i™). Fellow surgeons observe the ease with which the Dr.UPunch i™ extracts donor hair. The Dr.UGraft live surgery debut in Dubai displayed the capabilities of the advanced FUE system. The system, featuring the Intelligent Punch (Dr.UPunch i) was put to the test in a live surgical demonstration. Judging by the flurry of activity to the Dr.UGraft booth afterward, the advanced FUE system passed with flying colors. The capabilities of the Intelligent Punch™ (Dr.UPunch i™) were demonstrated in live surgery, which evidently astonished onlooking doctors. 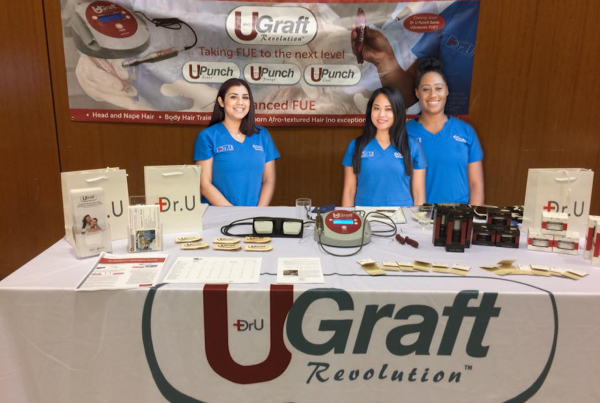 After the successful surgical demonstration, the punches at the Dr.UGraft™ exhibitor booth quickly ran out as a line of doctors eagerly purchased what was available. The Dr.UGraft exhibitor booth at the 2018 Live Surgery Workshop in Dubai. Taken moments before the influx of doctors arrived and cleared the available selection of punches, sharpening stones, and complimentary candy. Invitation to display results on Dr.UGraft Patient Cases. Access to the DIY uGraft Hair Transplant Estimator. Providers and interested physicians are also encouraged to attend the 2018 Los Angeles Hair Transplant Training Workshop. Formerly known as Advanced FUE Los Angeles (AFLA), this workshop focuses on combining cutting-edge advancements in hair restoration with practical applications. Due to popular request, this three-day workshop will feature hands-on training with cadavers. To learn more about this workshop, sign up for our newsletter. 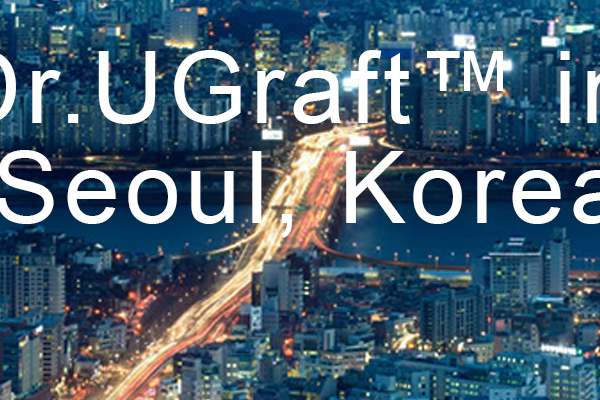 Learn how Dr.UGraft solves issues that lead to graft misalignment injuries.